I created this original necklace from a piece of sheet metal that I pierced, sawed, filed, and textured with a swirl pattern. 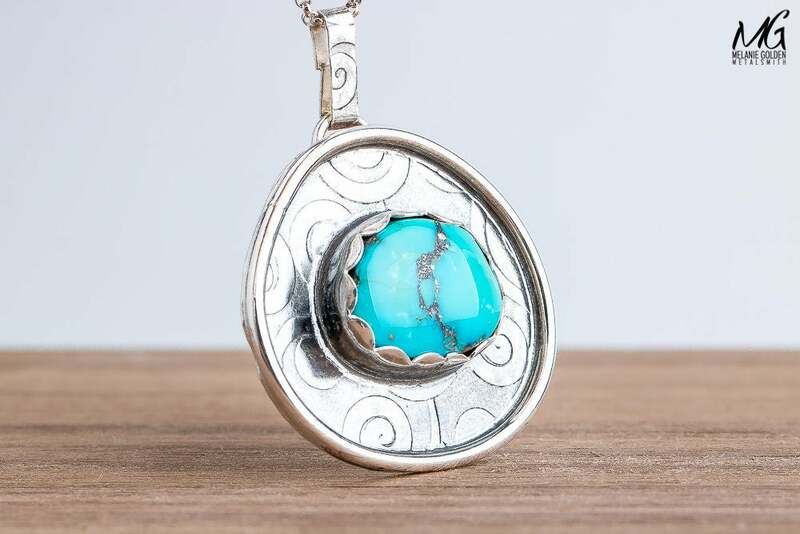 Set within the center is a beautiful aqua blue Morenci Turquoise gemstone with pretty pyrite inclusions surrounded by swirls. 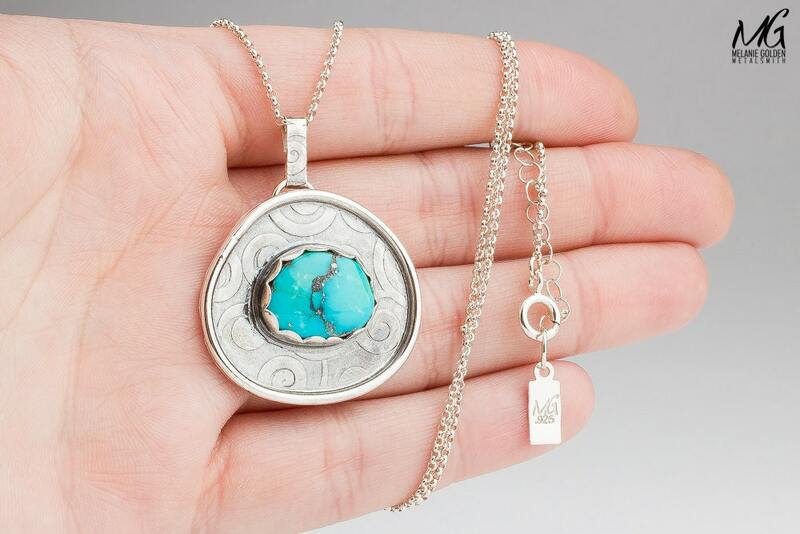 The pendant hangs from a thick rolo chain that is adjustable in length. 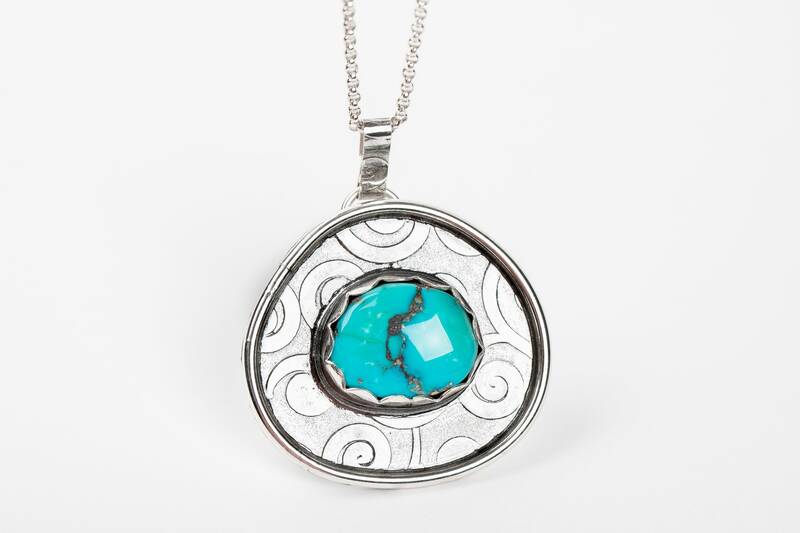 The necklace has been oxidized to appear a dark gray color and polished to bring out the highlights. 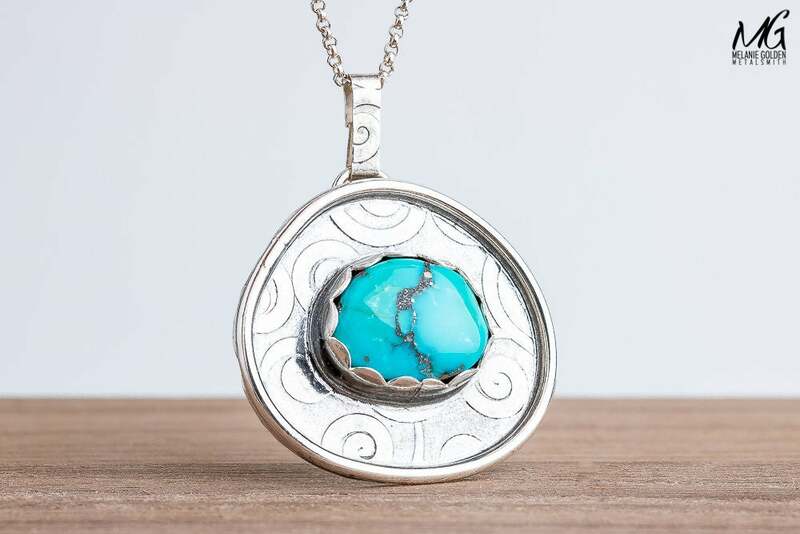 Turquoise is a soft, opaque gemstone. 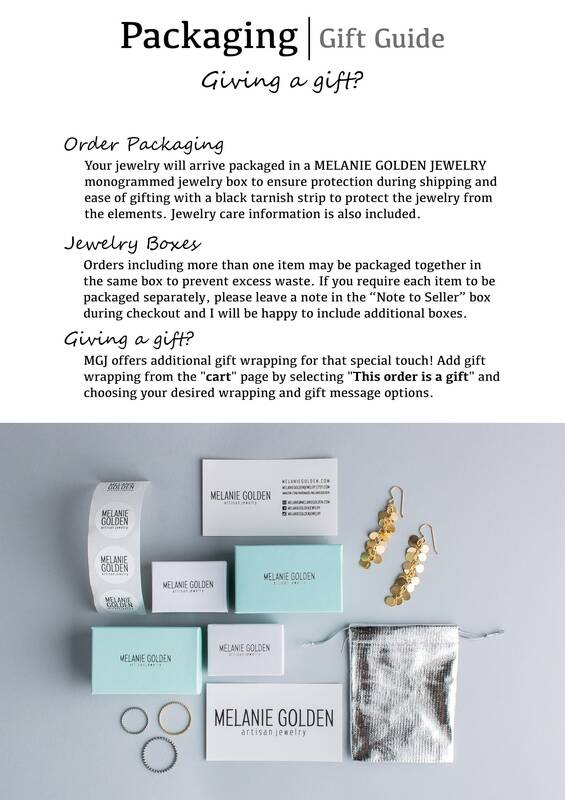 Its sky blue color comes from the presence of copper; green tones are provided by iron traces. 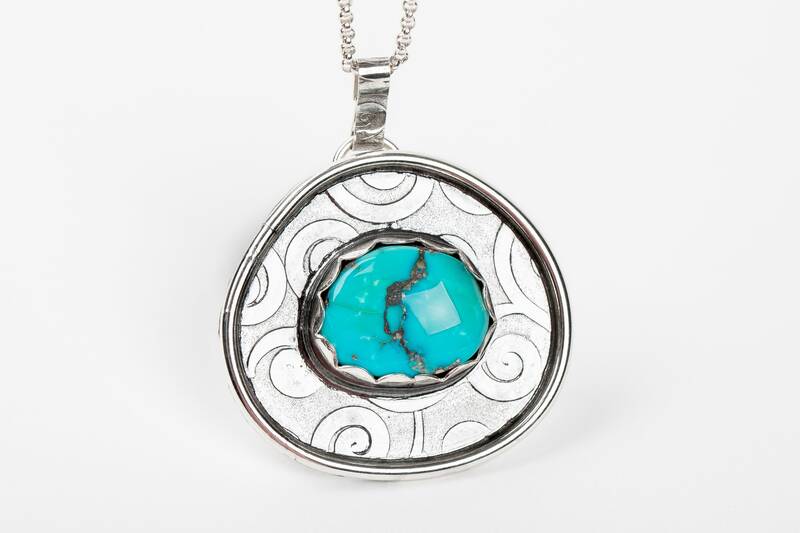 Turquoise sometimes has a rock matrix and varying shades of gray, brown or black veining due to inclusions or oxide stains. - Gemstone measures approximately 12mm x 15mm. 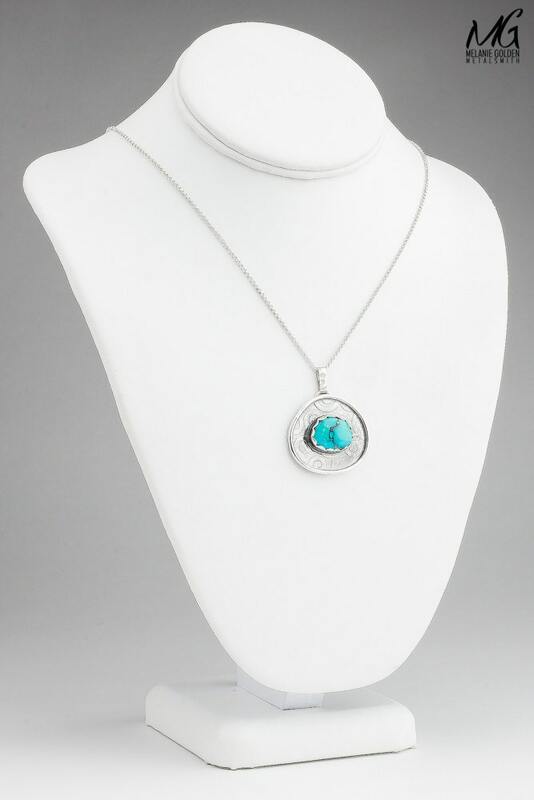 - Entire pendant measures approximately 30mm x 33mm. - Necklace is adjustable from 18 inches to 20 inches. 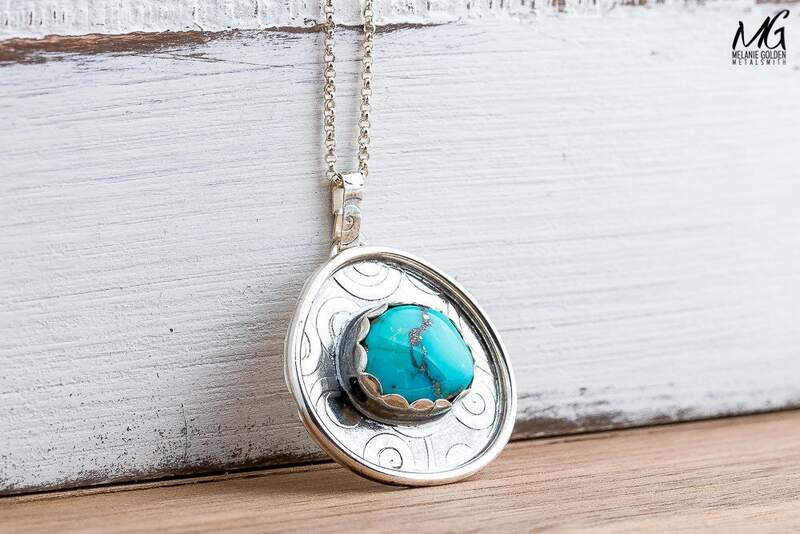 - Necklace is made entirely from Sterling Silver and a Morenci Turquoise gemstone.